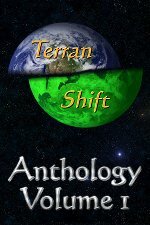 Last year, Jamie and his brother Paul decided to put together an anthology ebook of stories set exclusively in their Terran Shift universe. This is the result -- seven stories from five authors (including three GPS members), spanning from the high-tech cyberpunk dystopia of the Bio-Tech Era to the Sol-Bect War Era. An American spy in Kazahkstan accidentally breaks local law and must win a berkutchi trial to get out alive. Only when you've put everything you have into obtaining your hopes and dreams do you find what you've really been after. A misguided man bases his utopia on a satirical novel. The Landers and Unders are at war. The Landers just don't know it yet. Youth on a moon base learn the dangers of regolith mining. 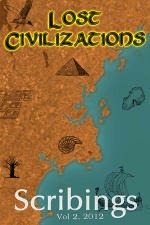 In a missing chapter from The Sol-Bect War, Part 2, Peter McCabe visits the past to lay the groundwork for his future. Libboo is a publishing startup, with partners and supporters ranging from Houghton Mifflin Harcourt to the National Literacy Trust and the BBC. Libboo aims to help authors (whether they have a traditional publishing deal or have self-published) increase their chance of success by pairing their books with the correct "buzzers". A buzzer is someone who has influence in their personal community and who, most importantly, is passionate about sharing the books they love. Libboo believes that a key part of making an author successful is to pair them with others who will share their work and help expose it to a wider audience. If you love reading and this is the first time you’ve heard of Libboo, please check out their site.